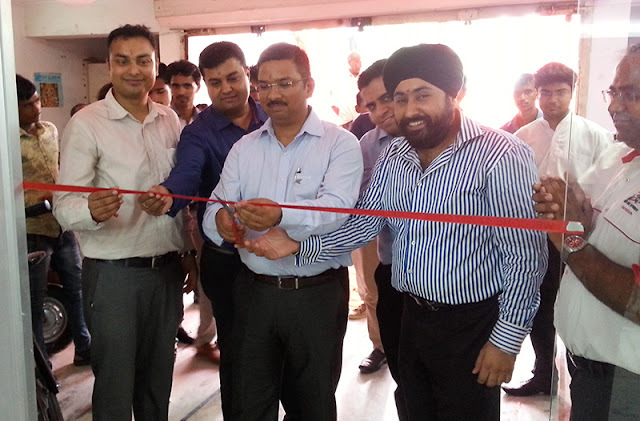 Today Honda Motorcycle and Scooter India (HMSI) opened their second ‘Best Deal’ pre-owned and Honda certified vehicle outlet at Globus Honda in Pitampura, Delhi. This is Honda’s 80th such outlet in the country. Honda’s ‘Best Deal’ caters to customers who are looking to buy authentic and original pre-owned Honda motorcycles with assurance of originality and reliability from Honda. 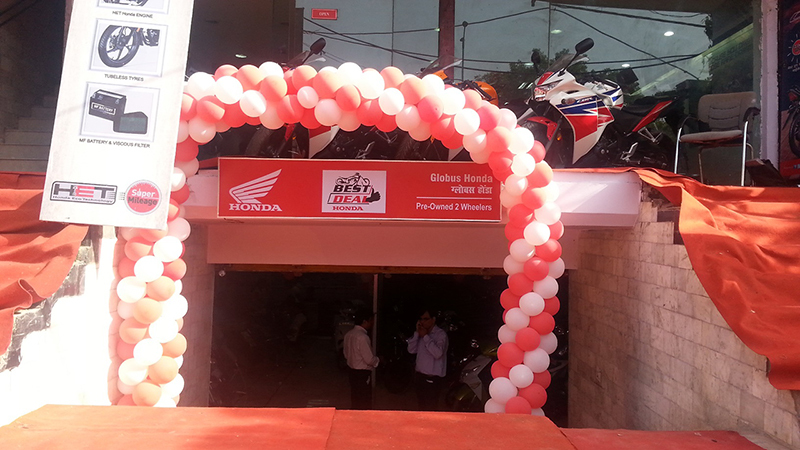 Customers can now buy a used Honda Motorcycle at affordable prices from the ‘Best Deal’ outlet. You can also exchange your old 2-wheeler for a new or pre-owned company certified Honda motorcycle. ‘Best Deal’ also provides the customers features like two free service, six-month warranty and after-sales support. Honda’s Best Deal will also ensure owner’s verification of documents and a speedy ownership transfer to the new customer. Honda refurbishes these used motorcycles with genuine Honda spare parts, further adding to the reliability and quality of the motorcycle. On this occasion Y. S. Guleria, senior Vice President, Sales and Marketing, Honda Motorcycle and Scooter India Private Limited said, “We have observed that on an average, the replacement cycle for 2-wheelers has marginally reduced from 7-8 years to 5 years over the last one decade. With changing customer patterns we see immense future potential in pre-owned two-wheeler sector. The response to our existing ‘Best Deal’ outlets has been terrific. We shall further be increasing the number of Best Deal to cater to increasing consumer demand”.